"It always struck me that everybody says that we learn more from our failures than we do from our victories, but that doesn’t always manifest in popular culture or in conversations." 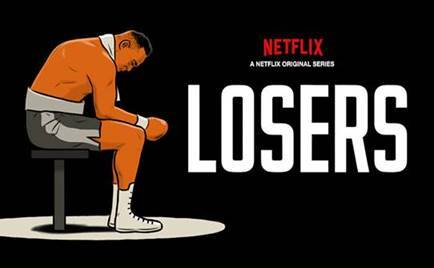 A different and interesting spin on the sports documentary launches March 1 at midnight eastern with the premiere of Losers, an eight-episode series launching on Netflix centered around the stories of international sporting figures around the world who endured epic losses and catastrophic failures, and how they positively responded to those career and life-altering results. Awful Announcing had a chance to speak with Mickey Duzyj, the Emmy nominated creator, director and executive producer of Losers,about his creative process and why he chose to focus his series on failure as opposed to triumph. From basketball and boxing in the U.S. and international figure skating to Canadian curling, ultra-marathons in the Sahara Desert, the Iditarod and Jean van de Velde’s epic meltdown in the 1999 British Open, Duzyj and his team went around the world in search of tragic sporting figures and how they dealt with their very worst moments. Celebrity cameos during the season include Mickey Rourke, figure skating commentators Scott Hamilton and Tara Lipinski, golf analyst Jimmy Roberts and Dallas Mavericks head coach Rick Carlisle. Duzyj began toying with this concept several years ago, when he made a short for ESPN’s 30 For 30 documentary series called The Shining Star Of Losers Everywhere. Released in 2016, it was a story of a Japanese race horse who, according to Duzyj, became famous in Japan during an economic recession as this lovable loser. Duzyj remained allured by this concept of what he called “noble failure,” and didn’t think there were too many examples of this in the American sporting landscape. Duzyj originally envisioned these stories to be packaged as a web series of short films like his 30 For 30 documentary. But then all the footage and international licensing got to be really expensive, Duzyj said, too expensive, it turned out, for this seemingly-obscure online series. 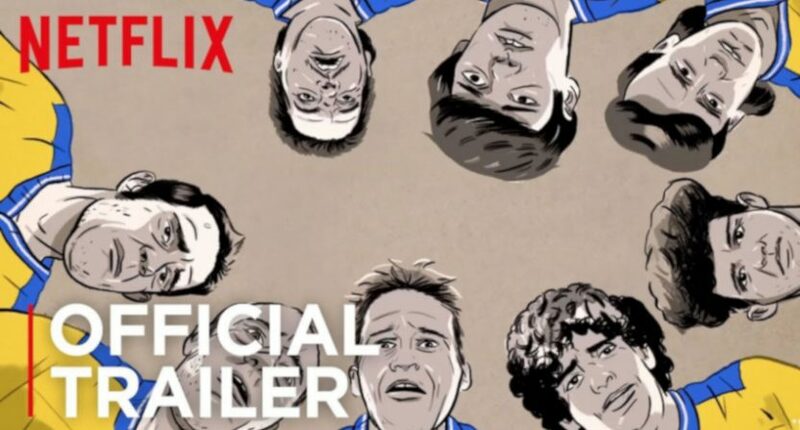 Though a bunch of American properties weren’t overly interested, the global nature of the show appealed to Netflix, which gave Duzyj a year to find more stories and scale out his concept. “We’re just really grateful that Netflix seemed to understand what made my work different, seemed to understand what we were going for in the show,” Duzyj said. After a couple of months of pre-production, Duzyj and his team of six others went from New York to Paris, the Sahara, Alaska, England, Sicily, California and Canada, shooting footage and conducting 65 interviews over the most frenetic 12 weeks of their lives. With the exception of one or two stories, a majority of the failures these athletes endured took place during the 1980s and 90s, something Duzyj said was not a coincidence. That passage of 20, 30, 35 years allowed for the subjects to deeply discuss how their lives have changed since that critical period or singular moment in their lives. Though he’d be open to shooting a second season and is certain that there’s a lot more territory to be covered on this subject, Duzyj isn’t expecting Losers to be a monumental hit, with much more modest goals in mind.